Anna began her training at The Jill Stew School of Dance whilst attending classes at the Royal Academy of Dance and London Junior Ballet as an associate. Anna qualified as a teacher at the Royal Academy of Dance on the The Art & Teaching of Classical Ballet degree programme and was awarded her Licentiate. She is a qualified Imperial Society of Teachers of Dance (ISTD) teacher having gained her Certificate in Dance Education (CDE) in Ballet and Modern Theatre Dance. Anna has also completed a Post Graduate Certificate in Teaching & Learning gaining a Distinction validated by The University of the Arts, London. Anna taught at the London Studio Centre for over 10 years as a personal tutor and ballet teacher to vocational students on the B.A. Hons Theatre Dance course and was also the Course Coordinator for the Foundation Course. Anna has also taught at The Royal Academy of Dance, London, Central School of Ballet, London within the Junior School for over 8 years & also at Ballet Train, Kilburn. Anna has taught on courses in Germany, Japan and Portugal. Amy's dance training began at The Jill Stew School of Dance at the age of three. Amy then went on to study a BA Honours Degree in Performing Arts at Middlesex University where she studied and majored in all dance genres, alongside drama and musical theatre, providing her with a broad and extensive training. After finishing her degree Amy then studied at The Judith Hockaday School of Dance and Drama. Here she qualified as a teacher gaining her Imperial Society of Teachers of Dance (ISTD) Modern and Tap Teaching Associate Qualifications. Amy has since gone on to complete her FDI & DDE certificates with the ISTD. Amy has completed her Certificate in Ballet Teaching Studies with the Royal Academy of Dance (RAD) where she was awarded her full registered teacher's status by Dame Beryl Grey. Amy's performance experience includes Rough Magic - London, Dance Explosions - London, Carmen - Broadway Gloucestershire, Hansel & Gretal - Stowe Landscape Gardens, Save The Children Gala Performance - Oxford Apollo and The Wizard of Oz - The New Theatre Oxford. Amy choreographs for local performances, pantomimes and festivals on a yearly basis and has additionally choreographed the musical Cabaret - The Amey Hall, Abingdon and The Boyfriend both for The School of St Helen & St Katherine in Abingdon. Amy has also taught at many Easter courses and Summer Schools. Sarah completed her dance training in Australia, where she gained her Advanced 2 (RAD) in ballet and successfully completed a Bachelors Degree in Dance and Performance. Her performance experiences include a Contemporary solo performance as part of Sounds New Festival at the Royal Academy of Music in London, and Jazz and Contemporary performances in Vienna, Austria for the Impulse Tanz Festival. Her teaching experiences include running dance classes for Pre-school children in Okabe, Japan, and since arriving in the UK, she taught for a ballet school in Kent for 6 years during which she completed her Certificate in Ballet Teaching Studies, achieving Registered Teacher status with the RAD. 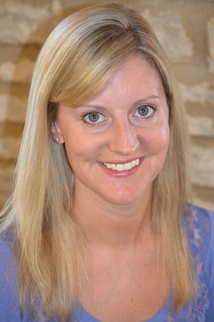 She began teaching at The Jill Stew School of Dance in January 2011. She also teaches ballet at St Edwards School in Oxford, as well as help run ballet Summer schools in Kent. Natasha began dance classes in Ballet, Tap and Modern at the Quay School of Theatre Dance under the tuition of ISTD examiner Michelle Bone and Marie Morris at just three years old. During her time there, Natasha represented the school in dance and drama festivals and theatre performances, receiving awards and special recognition for her talent. Natasha went on to study Media Production at West Suffolk College, learning the crafts of the film, television and theatre industries. Following this, Natasha successfully auditioned for 'The Dance College' to fulfil her passion in teaching. Under the tuition of ISTD examiners Penny Meekings, Jackie Styles and Eduardo Martinez, she completed her teaching qualifications in ISTD Classical Ballet, Modern Theatre and Tap Dance. Natasha has taught in various dance schools and organisations around different parts of the country, taking on the roles of head choreographer and assistant manager. She has worked alongside theatre and TV professionals on workshops and productions and her students have had the opportunity to perform on Sky TV and many international stages. Natasha's students have received 100% pass rate in all exams and have gone on to gain places at some of the UK's most renowned performing arts schools. Natasha has a vast repertoire of classes which include; commercial street dance, contemporary, west end jazz, musical theatre and movement classes for children and adults with physical and learning difficulties. She hopes to reflect her own love of dance in the students she teaches. Trained at Arts Educational School, London, gaining The College Diploma - Post Graduate Acting Company. Sarah started her professional career at the age of 9;she was the first ever 'pippin' becoming a protegee of The Theatre Chipping Norton. She was used in lots of their productions as a child actor, and was regularly seen in the professional pantomimes there. She also studied in Ballet, Ballroom dancing, and Jazz, also gaining her MBBO in Tap dancing. Sarah has been a member of Equity since the age of 17. She spent a year at 'The Actors Workshop' and 'The Actor Centre' in London then she worked before going to finish her training at Arts Ed. Her professional experience since becoming 'Equity'; 'Sleeping Beauty', 'Jack and The Giant Killer', 'Oh What a Lovely War', 'Broadway', 'The Rivals', 'Winners,' Love On The Dole' 'Sleeping Beauty' (2nd production). TV appearances includes 'Prudence Barraclough 'All Creatures Great And Small', 'Floodtide', 'After Pilkington', 'Hedgehog Wedding', 'A Wreath of Roses', 'Putting on the Ritz', 'Porker' and 'Death of a son' also a pop video for 'Mike and The Mechanics'. Teaching experience; 'Theatre Holiday Play schemes,' Drama workshops, 'Tap workshops,' 'Drama clubs,' 'Audition coaching' 'Drama Parties' and 'The Children's Theatre Workshop'. Sarah also writes plays to be used in performance for children and is married with four children. She has had many years of experience and now passes on her enthusiasm for the stage to others. Roxy Rose is a talent coach specialising in Voice & Drama skills for performance. Roxy trained as a performer & educator at the Royal Conservatoire of Scotland, where she was awarded the RSC Education Prize for her dedication to coaching. Since graduation, Roxy has achieved a Masters degree in Music & Contemporary Art from Oxford Brookes University, and in 2016 she spent time at the New York Conservatoire of Dramatic Arts, undertaking studies in Film & TV development and master classes in Musical Theatre with Broadway Director Jay Binder. Roxy has also completed her level one and two studies in the Jo Estil vocal technique for Musical Theatre. Roxy has written and run her own creative courses, which have been booked by the Ashmolean Museum, Oxford Brookes University, Chipping Norton Theatre and local community centres - most recently by an Oxfordshire based women's singing group. She has also been a vocal coach at Stagecoach Witney, where she achieved a 100% exam pass record during her 3 years with the company, and she continues in the role of principle coach at Oxford-based company Open Stage Arts. Roxy has worked closely with Natasha Gant, founder of Sing, Sing, Sing Academy, and continues to prepare students for the London College of Music Popular Vocals and University of Westminster Musical Theatre exam grades, as part of her private vocal coaching business. In 2018, Roxy's Arts in Education company, www.roxyrose.co.uk, will be delivering Voice Confidence classes for adults interested in singing for personal development. Catherine started dancing at the age of three at The Jill Stew School of Dance whilst also attending classes at London Junior and Senior Ballet from the age of 11 to 18. Catherine then went on to study at The Judith Hockaday School of Dance and Drama where she trained in FDI (Foundation in Dance Instruction) for both Modern and Tap (ISTD). Catherine went on to train at Bird College in Sidcup, where she gained a 2:1 BA (Hons) in Dance and Theatre Performance. Whilst at Bird, Catherine trained in all dance genres, drama and singing. During the end of year shows, Catherine was Dance Captain for four separate pieces. She was also chosen to be a part of the choreographing process for the new ISTD Advanced 1 syllabus and performed the syllabus in the Epsom Playhouse. Catherine's professional performance experience includes the principle role of 'Angelina' in the UK tour of Angelina Ballerina: The Mousical, Ensemble in West Side Story - Dundee, Ensemble in Chess - Studio House, Sidcup, Ensemble dancer in The Wizard of Oz - New Theatre, Oxford. Catherine also performed in a PR stunt for The Walking Dead, AMC Network - London. Sarah is co-founder of Biserk Dance Company. She trained to Advanced Level in Ballet and Modern Dance and went on to study Expressive Arts at Brighton Polytechnic. Sarah has taught extensively and choreographed two professional dance works and 40 youth pieces. Currently working as a freelance Dancer/performer, teacher and Choreographer, she also teaches with Anjali Dance Company; at Wood Green School; and tutors BTEC Dance at Chipping Norton School. Recent freelance performance work: with Charlie Morrissey, Small Wonder, a Site Specific piece, "Where The Land Meets The Sea" on Brighton Beach and with Gill Clarke, Choreographic Commission Project for dancin' Oxford Festival 2007. Other projects include Camouflage/Unlikely Partners pilot project with The Army Powerlifters Union, film-maker Becky Edmunds and Theatre Specialist Katharine Markee(Gecko).WOSSP (West Oxfordshire School Sports Partnership) performance projects and choreographing on young dancers with disabilitiesfor mini and young Anjali for their Gala Performances 2008 and 2009. Most recently performing with Fiona Millward in Site/Seeing part of Dancin' Oxford '09. Cats, Les Miserables, Blood Brothers, Starlight Express, Dirty Blonde, Saucy Jack and the Space Vixens, Ziegfeld & Me and My Girl. As a freelance theatre creative and lecturer he has worked extensively at The Royal Central School of Speech and Drama, Arts Educational Schools, London College of Music, London Studio Centre and Millennium Performing Arts. Most recently, David directed, Bad Girls for London College of Music and was Musical Director for Coram Boy at The Royal Central School of Speech and Drama. David also teaches privately in London and in his home in Oxfordshire and is thrilled to be joining the team at Jill Stew. Natasha Gant is a Performing Artist specialising in Vocal and Performance coaching. Originally trained at The Liverpool Institute For Performing Arts, Natasha then went on to work extensively as both an actress and a singer. 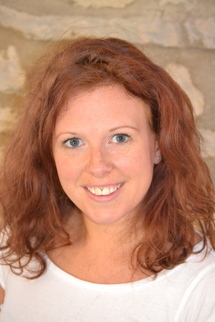 As well as touring both internationally and nationally, in shows such as "Mad about the Musicals" and "It's D'lovely", Natasha has provided workshops and training in singing, acting and Musical Theatre in Canada, Europe and Norway, and has also worked as a session singer for companies such as 'Universal Music'. Natasha is also a songwriter and has recently signed her first publishing deal for her work. After unpacking her suitcase and settling in Oxfordshire, Natasha continues to follow her passion providing coaching for both professionals and budding performing artists. She teaches in schools, performing arts academies, and privately in Witney. Her musical theatre students continue to achieve great success, attaining outstanding marks in their exams and with many of them going on to study and work in Musical Theatre professionally. Training: Bird College and Scapino Ballet Rotterdam. Theatre: Resident Choreographic Supervisor and swing on Love Never Dies, World Premier Cast, Original London Cast of Hairspray as Dance Captain and swing, Daddy Cool World Tour, Assistant Choreographer and Dance Captain on Promises (Crucible), Promises, Broadway Ballet Girl in Singing In the Rain (Sadler's Wells), Maria in Saturday Night Fever UK Tour. Ballet/Contemporary: Between Sleeping and Waking (Resolutions, The Place), created the role of Cecile in Les Liaisons Dangereuses (Japanese Tour, Sadler's Wells), The Lewitsky Legacy (Arts Theatre, Los Angeles), Tracker a Contemporary Dance Film by Future Vision Films. Live Stage/ Arena Tours: London 2012 Olympic Closing Ceremony- Emelie Sande, Jessie J, Fat Boy Slim, Madness, One Direction, Tinnie Tempah, Taio Cruz and Darcy Bussell, Florence and The Machine-Brit Awards, Tinchy Stryder-UEFA Champions League Final at Wembley-Dance Captain for Ashley Wallen, Will Young 'Keep On' National Arena Tour, 19 Management Concert (Royal Albert Hall) Rachael Stevens, Cathy Dennis, Gareth Gates, Will Young, Emma Bunton, Paul Hardcastle, Emma Bunton-Olympic Torch Concert. TV: When Miranda Met Bruce BBC dancing with Sir Bruce Forsyth, The Royal Variety Show-James Morrison, Children In Need-Danni Minogue, X Factor, It's Now Or Never For ITV, Avenue To The Stars-Charlotte Church, T4 Pop Beach-Will Young,Top Of The Pops-Emma Bunton, TOTP Saturday, Entertainment Today, GMTV, T4 Pop World, T4 Popbeach, Strictly Come Dancing, Paul O'Grady Show, Entertainment Today, Tonight's The Night, Comic Relief, This Morning, Blue Peter, Joy to the World, Royal Variety Show, Children in Need and Strictly Come Dancing for Hairspray, South Bank Show with Wayne Sleep. Commercials: Featured Actress Vodafone Italy, Nike Yoga Wear, McCain Oven Chips, Marks and Spencer Christmas Advert. Music Videos: Cleo-Feeling Like This, Lead Girl in Matt Willis-Hey Kid, Heather Small-Radio On, Loleatta Holloway-Love Sensation, Will Young- Happiness, Nadia- Little Bit Of Action, Rooster, Ashleigh-Falling For You. Film: Dancer in Disney's Feature Film Maleficent, Clubbed. Music Performances: Choreographer-One Direction at Bambi Awards Show-Germany, Radio One Teen Awards and Capital Radio Jingle Bell Ball. Assistant Choreographer- One Direction-Live While We're Young Tour , One Direction Take Me Home Tour and Madison Square Garden Gig NYC, Kylie Showgirl Homecoming Tour, Emma Bunton Tour of Europe and NYC. TV: Choreographer-One Direction-Australian X Factor, One Direction Music Station Japan, Union J MTV Live Sessions, One Direction-America's Got Talent NBC, One Direction The Today Show NBC, BBC Let's Dance for Comic Relief Vanessa Feltz performance and Waterloo Road performance, One Direction on Surprise Surprise, X Factor and Red or Black ITV, Let's Dance for BBC Sport Relief, Born To Shine for ITV, Ant and Dec's Takeaway. Assistant Choreographer- Stepping Out ITV, Kylie on X Factor and Strictly Come Dancing, JLS and One Direction performance on X Factor Live Final, Olly Murs on X Factor, Britain's Got Talent, White Diamond Kylie Documentary, One Direction Documentary, Girls Aloud on Children In Need BBC. Theatre: Associate Choreographer and UK Dance Supervisor on Hairspray, Assistant Choreographer Street Of Dreams Arena Tour, Imagine This with Adam Cooper. Commercials: Choreographer-George Autumn and Christmas Collections, Heineken commercial. Assistant Choreographer-Vodafone Italy, Samsung Galaxy commercial, Heineken, Nokia N8 Pink. Music Videos: Choreographer-One Direction Best Song Ever, Kiss You and Gotta Be you video, The Movement Collective Project. Assistant Choreographer-James Morrison Slave to the Music video, Paul McCartney Ever Present Past. Helen is now a fully qualified yoga instructor teaching one to one classes and group classes across London. She is also a proud Yoga Ambassador for Sweaty Betty. Having recently moved to Bampton Helen has set up weekly yoga classes at Bampton Old School Community Centre and is hoping to set up many more classes in the local area as well as teaching private clients.